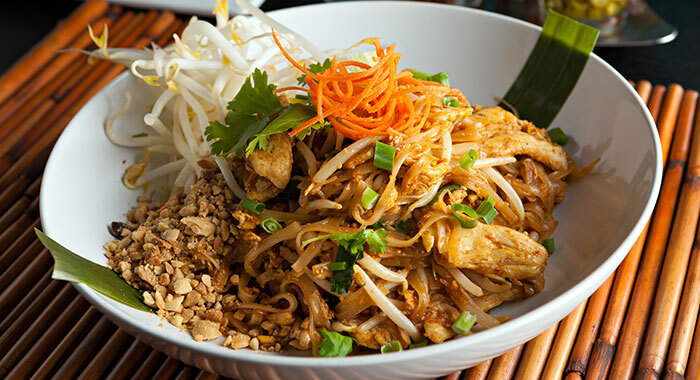 Thai food has the perfect blend of salty, sweet, sour, spicy and umami, which is why our taste receptors love the dishes that originate in the Far East. 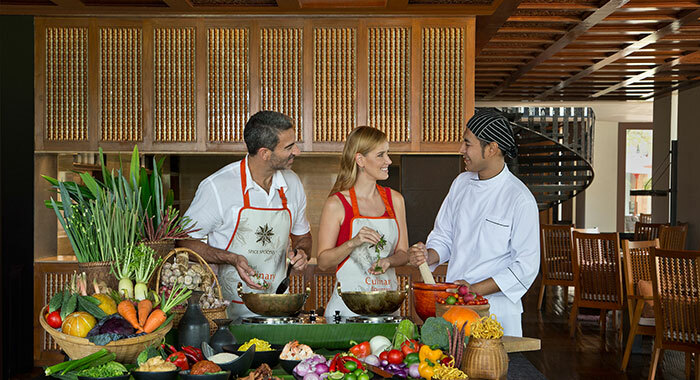 Make the most of your visit to Thailand and learn to cook, understand flavour combinations and practice preparation techniques at one of the culinary encounters on offer to travellers - take home the flavours of your holiday and re-live your food highlights. 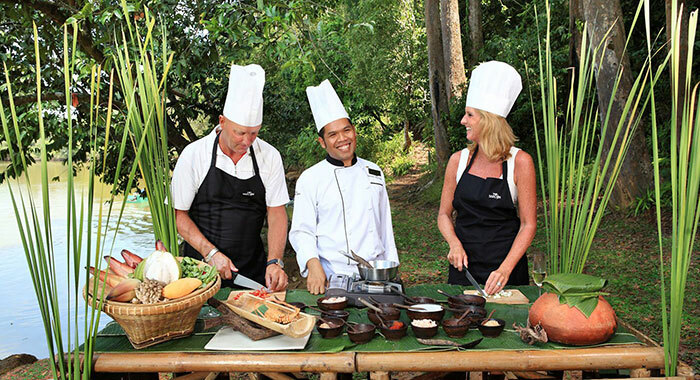 At The Sarojin there are classes for beginners or the serious home cook in stunning locations across the resort. Classes, for 2 people only, start with a visit to the local market with your teacher and chef where you will taste and shop for ingredients. Choose a cooking location from Sarojin’s Fisherman’s Hut, the Rainbow Waterfall or under the Wedding Tree and start your preparation for lunch. Menus can be tailored as per your requirements and if you are cooking and your partner is not, they are welcome to join you to eat. If you love fish take the 'Catch, Cook and Dine' experience where you literally fish for your supper. Support the local community by enrolling in the ‘Street Food for Kids at the Camillian Centre’ class. You will cook a street food menu, then visit and donate your offerings to underprivileged children at the Centre. What an inspiring experience. Choose a morning class, they start at 08.00 and mean you get to the market for the best ingredients, for those that like a leisurely start there is an afternoon lesson at 12.30. 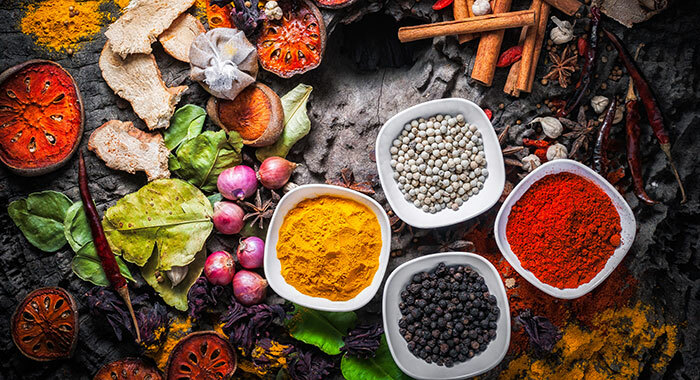 After a visit to the market stalls where you will learn to select and buy the best quality, freshest Thai ingredients you return to the Blue Elephant Cooking School to get hands on. Lunch at the Blue Elephant follows where you can sample your own cooking alongside some of the restaurant’s own special dishes. 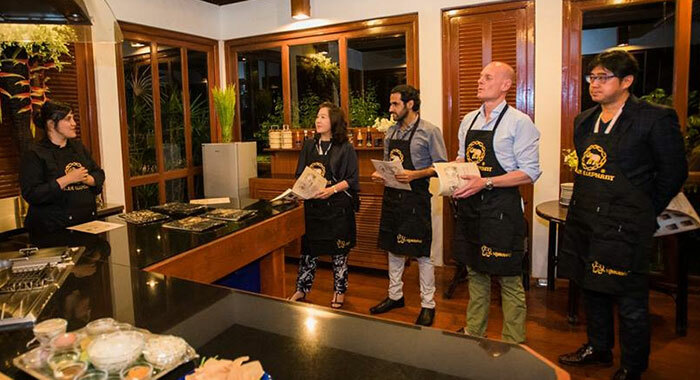 At Spice Spoons you create your favourite Thai dishes in step-by-step classes. At breakfast you will meet your master chef instructor and take part in the ritual of making merit at the hotel's spirit house. An offering of rice is believed to ensure you will be happy and healthy all through your life. The San Pha Koi market visit includes a ride in a tuk-tuk, tasting of local snacks and expert guidance from your chef. 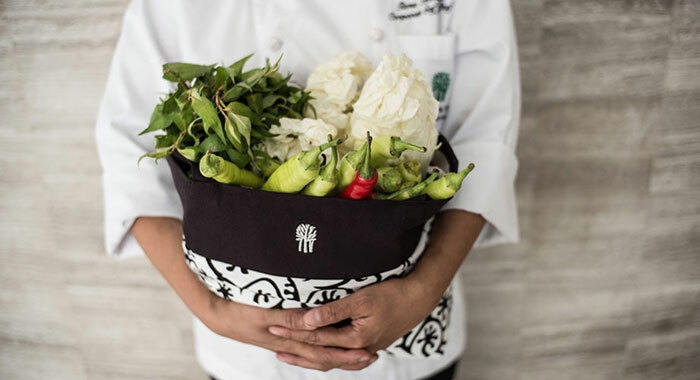 The show kitchen is your designated cooking location and here you will learn about Thai cuisine’s cultural significance and health benefits, how to use indigenous ingredients and equipment as well as what you can replace them with when you get home. When the final ingredient is cooked and served you can sit and savour your work with a glass of wine. 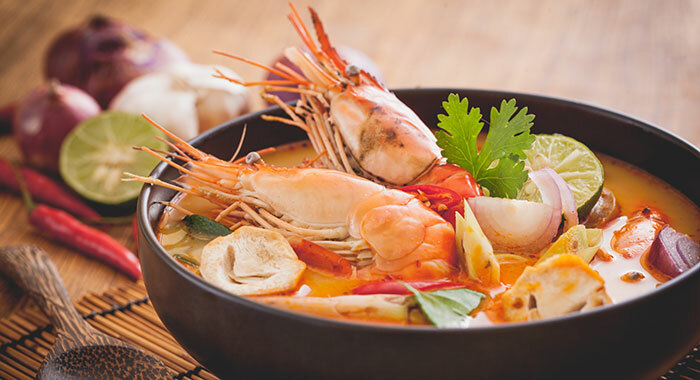 What we love about this class is that a menu of possible dishes is available before your class begins, so if you want to learn something specific like Tom Yum Goong or Massaman Nuea then, providing the ingredients can be sourced, you can request a specific dish and lesson. Perfection. If you are looking for something personal, then this cooking experience is the one to book. Your day starts with a boat ride to the outskirts of Bangkok on your host and chef’s private boat where you will be accompanied through the market to purchase the freshest ingredients, as with other tours, but your cooking class takes place in a private home. In the heart of your Thai host’s home, the kitchen, you will be introduced to traditional recipes passed through generations of the family. You are lucky your host is willing to share these normally well-kept secrets. When the cooking is complete you will sit down with your host in their dining room, overlooking the river, and enjoy your sumptuous efforts. At the end of a Thai meal there is no such thing as throwing away leftovers as this may enrage the Thai goddess of rice, Mae Phosop – if you are lucky you may be able to pack some away to tuck into later. 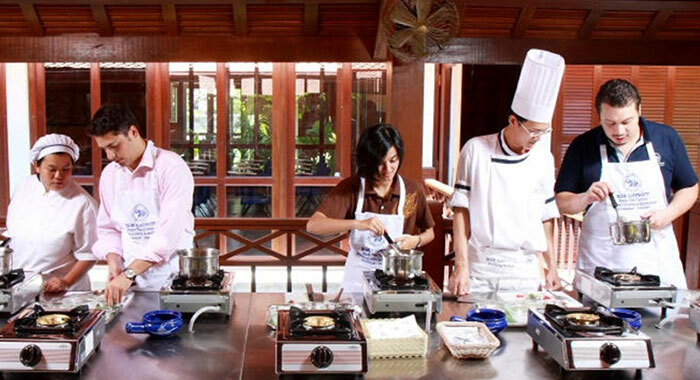 You are never too young to learn to cook and at the Banyan Tree Bangkok the family classes embrace this idea. Cooking lessons are creative and fun and will bring the family together whilst you endeavour to cook your favourite Thai dishes. Classes only take place on Tuesday although private sessions can be arranged at other times. 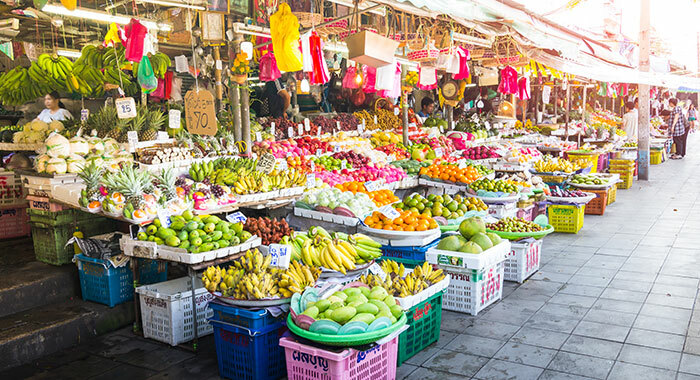 Depending on your market visit and the ingredients on offer you could be learning to make green, red or yellow curries, noodle dishes and Phad Thai, satays, salads, tom yam soup or sweet and sticky rice desserts. 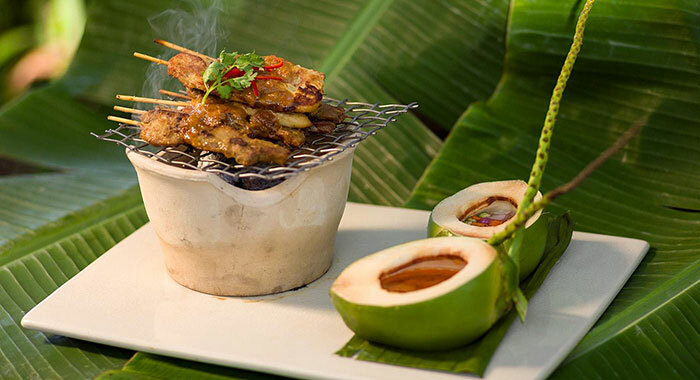 What is not to love about a Thai Cooking Experience. Call us and we can arrange flights, hotels and cooking courses? And in the meantime go out and buy yourself a wok ready for your return.